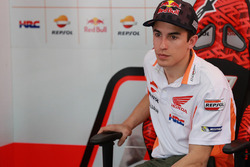 Honda rider Marquez converted pole into an early lead, and looked well on course for a seventh consecutive win at the Austin track as he stretched his advantage in the early laps. 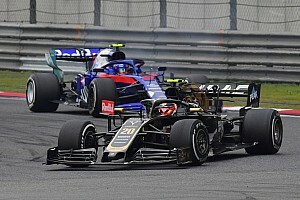 He had eased almost four seconds clear of Rossi's Yamaha in second when he suffered a low-side crash at the Turn 12 left-hander on lap nine of 20, ending his race. 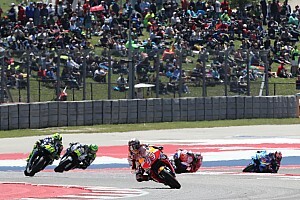 Marquez's demise handed Rossi a slim lead over Rins, but the Italian was powerless to shake off the Suzuki rider, who managed to slip past on lap 17 at Turn 7 to take the lead. Rossi tried to retaliate at Turn 12, but ran wide, and from then on he was never able to get close enough to mount another assault on Rins, who managed to hang on in the closing laps. 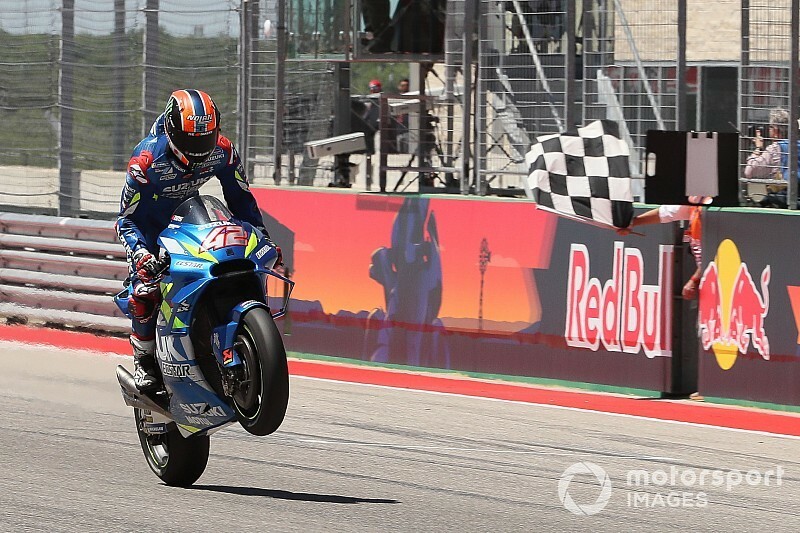 The Spaniard eventually crossed the line with just 0.462s in hand to score Suzuki's first premier class win since Maverick Vinales' 2016 triumph at Silverstone. Some eight seconds behind the lead pair, Pramac Ducati's Jack Miller nursed fading soft tyres to claim third, marking his first podium finish since his 2016 Dutch TT win. Andrea Dovizioso recovered to sixth on the opening lap from his lowly 13th grid slot, and managed to take fourth behind Miller, taking the lead of the championship in the process. Franco Morbidelli took his first top-five finish for Petronas Yamaha, ahead of Danilo Petrucci on the second of the works Ducatis, Fabio Quartararo (Petronas) and KTM rider Pol Espargaro. Francesco Bagnaia (Pramac) and Takaaki Nakagami (LCR Honda) rounded out the top 10. Vinales suffered another race to forget, jumping the start and having to serve a ride-through penalty before recovering to 11th, ahead of Andrea Iannone (Aprilia) and Johann Zarco (KTM). Rins' Suzuki teammate Joan Mir also picked up a penalty for the same infraction and ended up out of the points in 17th place. Aleix Espargaro (Aprilia) crashed on the second lap, marking the only non-Honda retirement of the race.